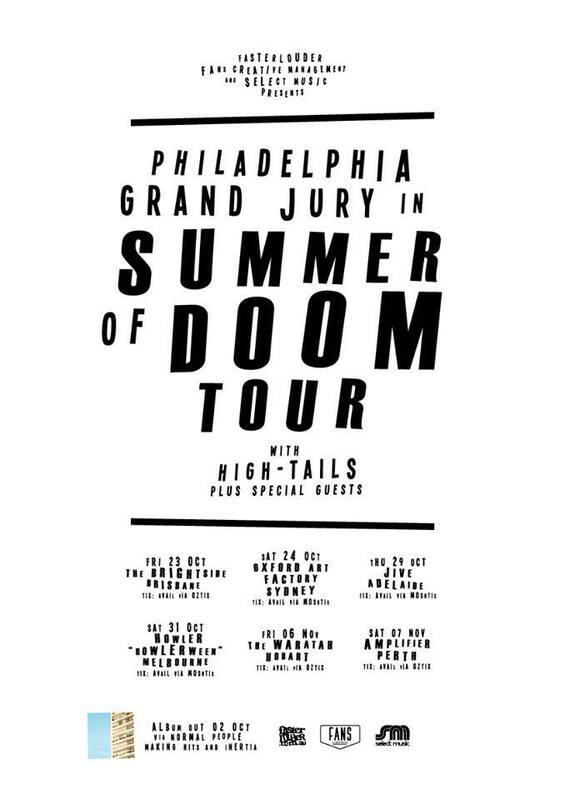 Philadelphia Grand Jury are back! They are currently travelling around Australia on their ‘Summer of Doom‘ tour, which sees them grace the stage at Jive with special guests High Tails (VIC) and West Thebarton Brothel Party who just got back from playing with Bad//Dreems in Sydney and Melbourne (and are one of the bands playing at the SA Music Awards on 11 november – get tickets asap hint hint! ).